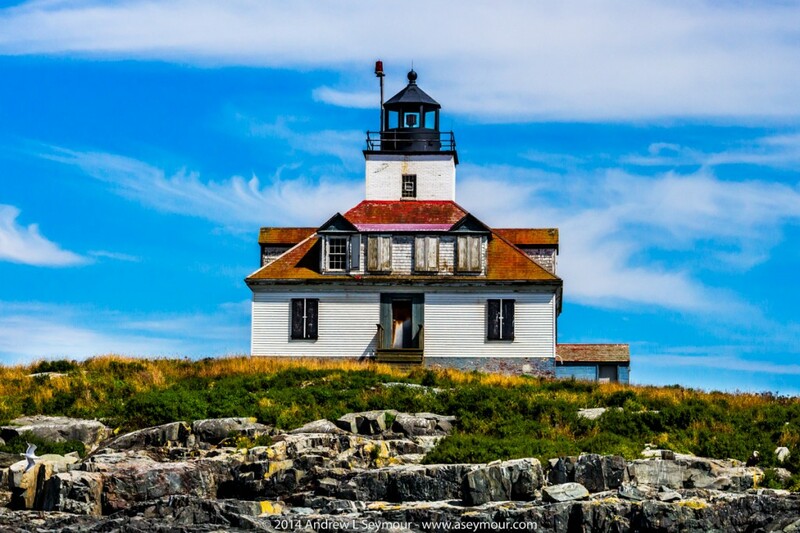 Image of Egg Rock Lighthouse in Bar Harbor, Maine USA. 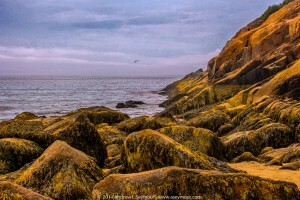 If you look carefully in the foreground, on the left, there is a gull, and on the right, there is a Bald Eagle. 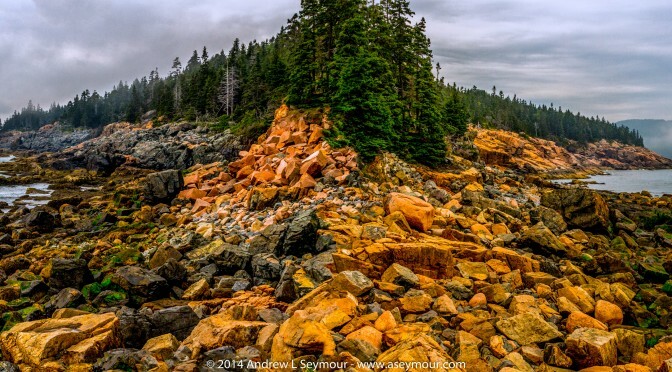 Images taken at Western Point in Acadia National Park on Mt Desert Island, Maine USA. 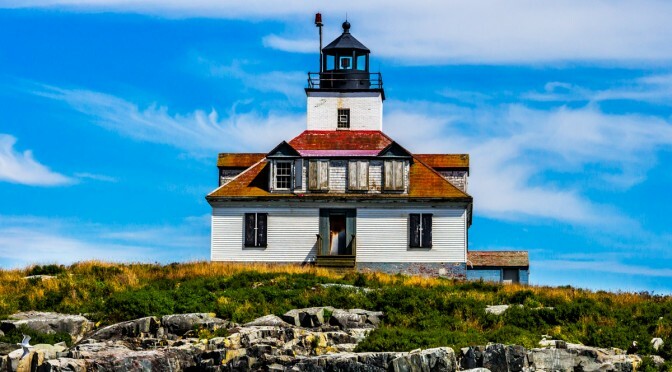 Be sure to click all the way through to see the BIG picture!! 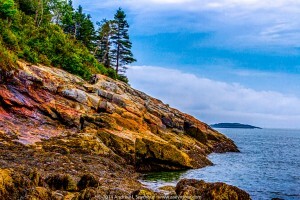 Here are a few images taken at Sand Beach on Mt Desert Island, Acadia National Park, Maine USA. Looking South with the Western coastline. 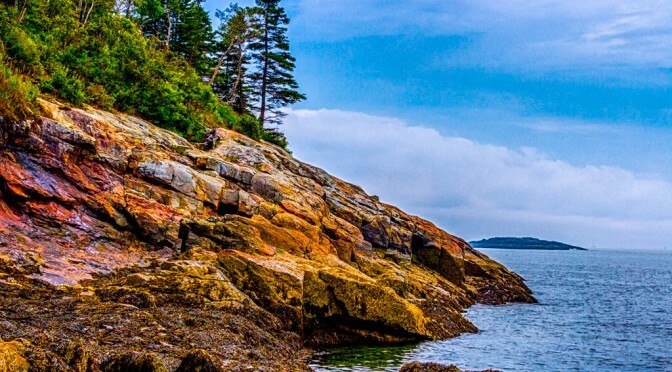 Looking South with the Eastern coastline. I FINALLY got through the gates and found a place to park, and it feels SO good to stretch my legs! I gathered my gear, and started up the hill. 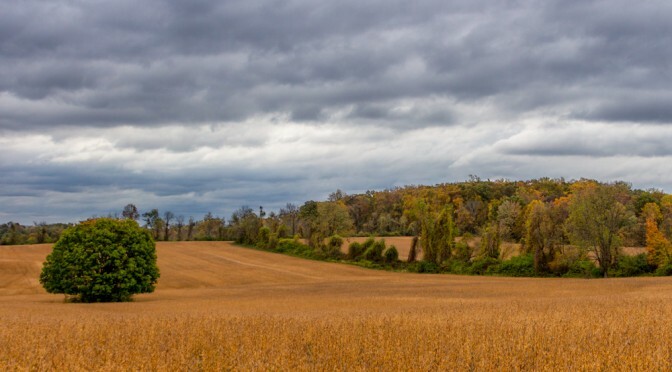 As I got to the dirt road, I heard a voice call my name, and it was Brian A, a fellow local photographer in his car with his wife, and they were leaving. We chatted for a little bit, and I headed off for my well deserved beer! Walking to the Victory beer truck, I did see someone was taking advantage of the strong winds, by flying a very colorful kite! Flying a colorful kite at the Chester County Balloon Festival. You might be able to notice, the long grass had just been cut, and was laying in the sun to get dry, but that did not stop the children from building hay forts in the fields! Children playing in the drying hay at the Chester County Balloon Festival. My stomach and nose also told me, it was time to get something to eat, so I ventured back up the hill and into the vending area. 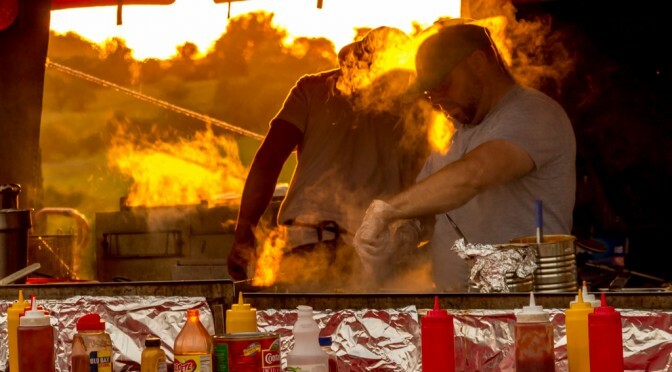 Images taken of a smoking grill during sunset at the Chester County Balloon Festival. and of course, there were kids and parents all over the place! 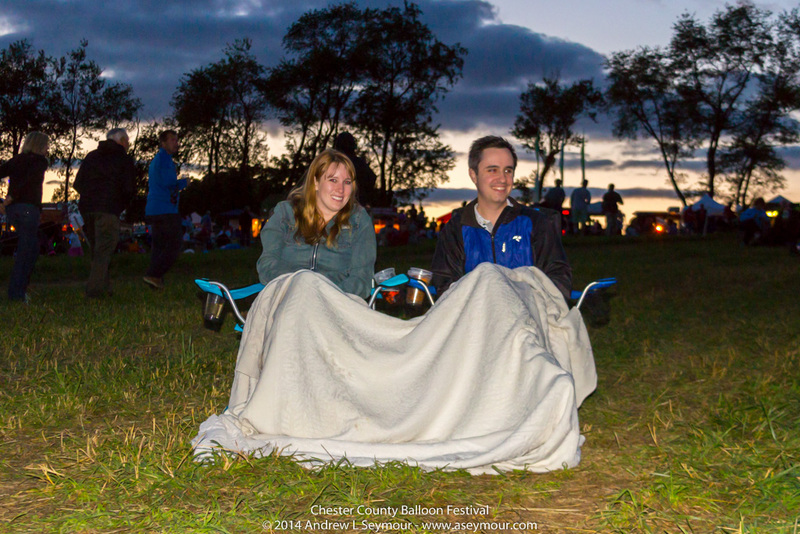 Images of Parents and their Children at the Chester County Balloon Festival. All eyes were on this man and his flying kite! – As long has his kite was flying high in the air, no balloons were taking off! 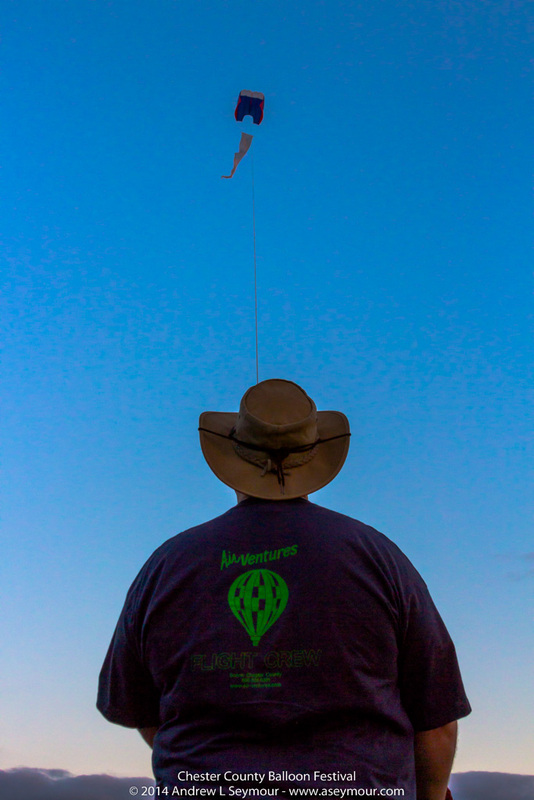 Image of the FAA Kite Man, monitoring the winds at the Chester County Balloon Festival. Eventually, one brave group decided to give a balloon raising a try! Glowing flames at the Chester County Balloon Festival. As the sun faded, the temperature began to drop. Folks began to cuddle up, as a few more balloons attempted to fill the night sky. A couple cuddle up during the flame glows at the Chester County Balloon Festival. But the winds refused to die down, as the balloons began to slowly sink back to the ground, a mere shadow of what they could have been.